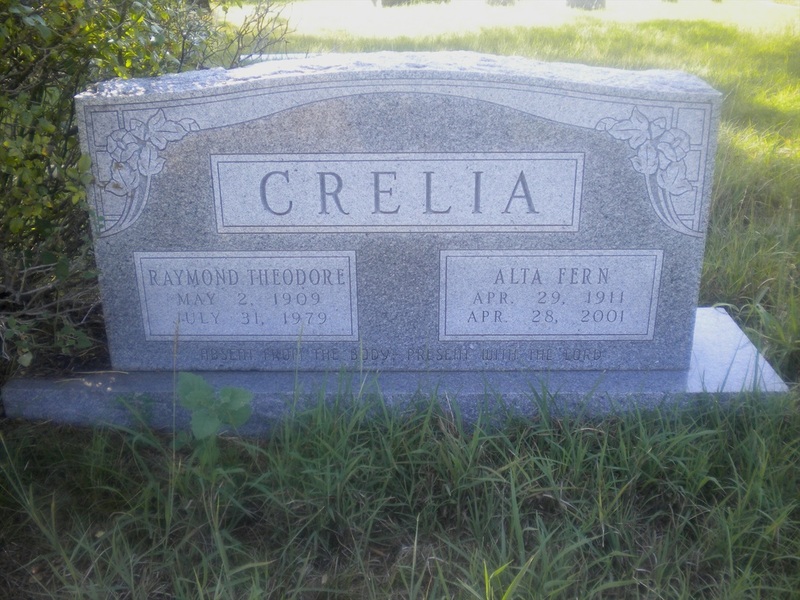 My Mother, Alta Fern Mitchell Crelia was born in Haskell County, Texas April 29, 1911. The family shortly moved to Sweetwater where she graduated from high school. Another move brought them to Parker County where they settled into the “house on the hill” as we always called it. It had a lovely location overlooking Highway 180 in Weatherford about where Bankhead Highway joins 180. Sadly, not only is the house gone today, but so is the hill! It was all bulldozed away to make room for various businesses. Mother met my Dad at a “42” party. Does anybody pay the game of “42” anymore? Mutual friends had invited them both to the party so this was where it all began. Mother married my Dad, Raymond Theodore Crelia in December 1939 and they lived happily ever after. Well, mostly. She had worked a short time for Alcon Laboratories in Fort Worth but was better suited for staying at home being a wife, homemaker, and mother to me. She was very successful in her role as mother because there was not a day in my life that I did not feel loved. My childhood and growing up years were happy and enjoyable and no kid could ask for a better one. Mother was always there for me, always kind, always loving, and always supportive. When Daddy died in 1979 after almost 40 years of marriage, Mother had to go it alone. As she dealt with Daddy’s passing, she demonstrated an inner strength that I had not seen in her before. I think she knew that she would see him again someday. That day came for her April 28, 2001 – one day short of her 90th birthday.